Time for a new nail tutorial! I recently have been wearing this and just love how it looks, not to mention it is super easy to do! Start off with a base color. I used Color Club Disco Nap. The scallop process is very easy. Pick a side that you want to put the longest stripe and paint it on. The next two stripes should be smaller and then the smallest like in the pictures. The color I used is OPI Cajun Shrimp. This is what you end up with! 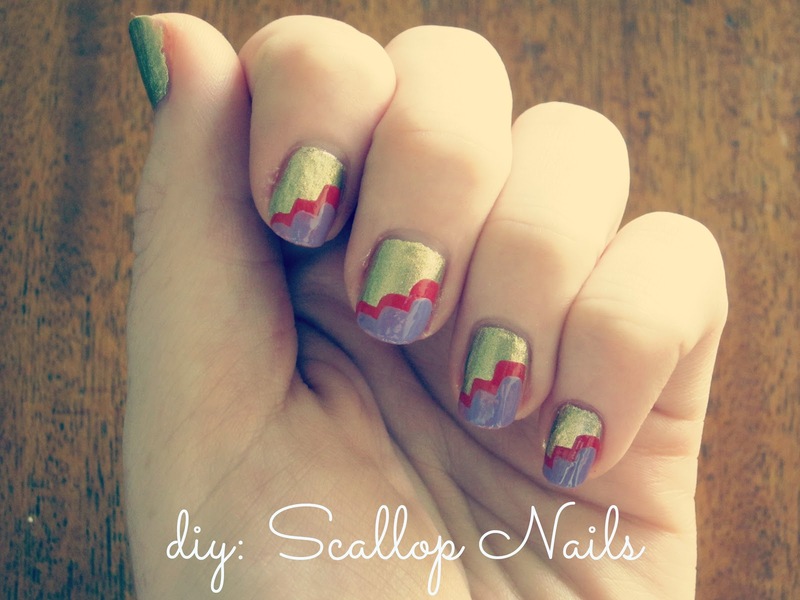 Add another scallop layer with another color! I used Essie Play Date. "Hair Talk: My Everyday Effortless Hair"